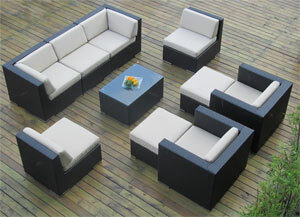 What Patio Decor Should I Use for My Outdoor Room? 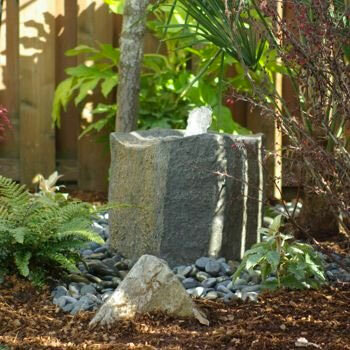 Water features can be beautiful to look at and listen to – but expensive and/or time consuming to build. There are several fountains for sale that cost significantly less, but ideally we want one that fits in with the landscape (and maybe even looks like we had it professionally designed!). These store-bought water fountains are smaller than something you might build and they don’t usually look like a real waterfall and pond. However, we still get to enjoy the same relaxing sound of trickling water and have a lot more money in our pocket at the end of the day. After reviewing all the pros and cons of either option, you may find that smaller is better. 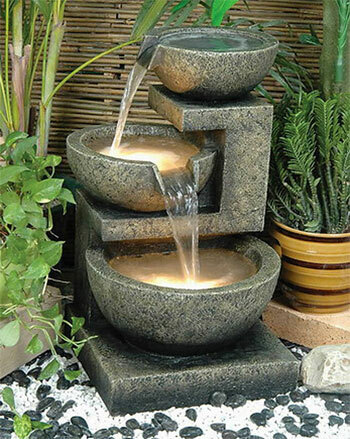 Heck, for the price, we can even get several small fountains for less than the cost of one that is professionally installed! Of course, “smaller” also typically means less maintenance, less critter problems, less cleaning and less issues that can go wrong. As you can see, there are lots of pros here. And why spend thousands of dollars on a custom-designed water feature in the backyard when you could take that money and invest it in a patio bar, outdoor kitchen or even an inflatable spa. If you’re like me, you might be surprised at the options available when it comes to pre-fab water features. For example, you can get very realistic stone waterfall units that (with the right landscaping) may trick your guests into thinking you had it professionally built. There are other models that also include lights, so fountains can be enjoyed at all hours of the day. Another option is a pond-less water feature where the overflowing water appears to disappear into the ground. The water reservoir is actually self-contained and concealed underneath rocks or pebbles in the landscape. 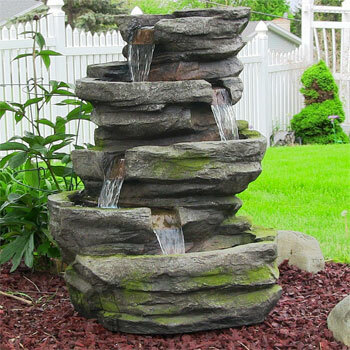 If you are looking for a natural-looking fountain, this is an easy and inexpensive way to do it. Solar Bubbling Fountain – Made Easy? 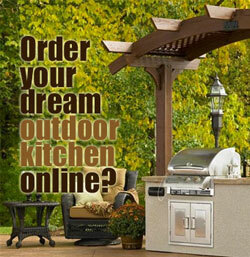 How to Build an Outdoor Fireplace...the Easy Way! 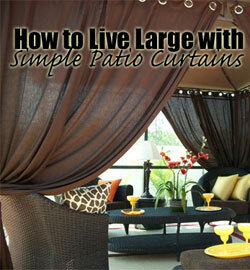 Outdoor Area Rugs – What to Look For?